Drying Firewood is important to make sure it burns safely and efficiently. Also known as seasoned firewood it has a low moisture content which is roughly around 20 percent. Green firewood is wood that has been recently cut and is still full of moisture produced naturally by the tree. Burning green firewood can be dangerous because it produces more creosote which can lead to chimney fires. The first step to properly dry firewood is to make sure it's split. Splitting the wood allows air to flow over the wood, evaporating the moisture. 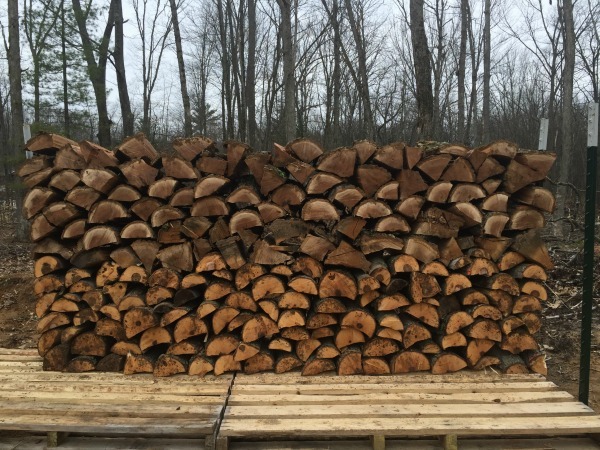 Once the wood is split, it can be stacked to allow it to season. 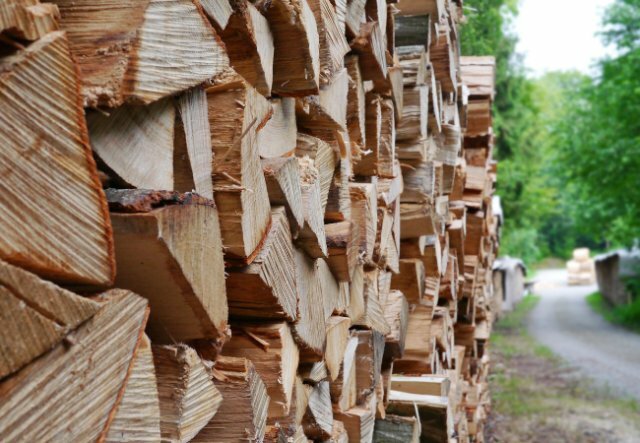 The method in which the wood is stacked is determined by personal preference and available space. Start off by laying some material along the ground for the wood to rest on. A 2x4 works well. Space the 2x4's about 12-14 inches apart to offer a stable base for the wood to be stacked on. Creating a stable base is important to prevent the stack of wood from tipping over. It's very frustrating to see your had work be erased by a strong wind. The base also keeps the wood from contacting the ground which causes moisture to buildup and increases the possibly of an insect infestation. Once you have created the base, the wood can be stacked in a row. The row can be any length and it can be stacked to any height. Remember, wood stacked to tall can become very unstable and dangerous. Generally, wood is stacked 4 feet tall. Posts can be driven into the ground on either end of the row to prevent the wood from rolling off the end. A criss cross pattern can also be used, alternating the wood back and forth. This method is stable and allows good air flow to dry the wood. Another good option is to stack firewood on pallets if you have access to them. The pallets allow the firewood to be raised off the ground while allowing the wind to flow under the wood to help it dry. It takes about 6-12 months to dry firewood depending on the species of wood you dealing with. Firewood types like oak take roughly two full years to dry out, but other species such as ash can be seasoned in just a few months. What are the benefits to all your hard work? The wood will be dry, easy to light and easy to burn. Plus, the seasoned wood will also produce less creosote, resulting in a safer fire.